Malayalam Actress Keerthi Suresh is awaiting for her Kollywood debutant film yet to be released in the month of July has now signed up yet an another movie. 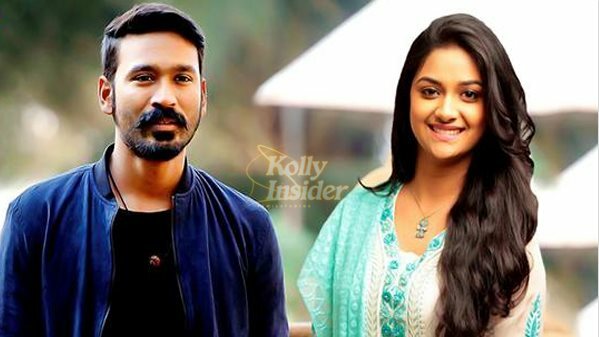 It is official that the heroine for Dhanush’s next has been finalised. Keerthi Suresh, the female lead in the Sivakarthikeyan starrer Rajini Murugan, has been roped in for the project. Reports about Keerthi Suresh being in fray emerged a couple of days ago and it has now been made official. Dhanush will be seen as a pantry worker and the entry story is set between Delhi to Chennai in Duronto Express. Regular shoot of this untitled flick to begin from the month of July. Dhanush is awaiting the release of Maari next month and has an untitled film with the VIP team also lined up for release. He will be joining the sets of the Vettrimaran directorial later this year and then start shooting for Prabhu Solomon’s film.